This year sees the 50th Anniversary of the now famous Doctor Who TV series, which first made an appearance on our screens on 23rd November 1963. As part of a programme of celebrations throughout 2013, BBC Worldwide have organised a number of events enabling fans of the Doctor Who franchise to personally engage with these celebrations. One of the ideas for this engagement was a custom build photo booth in the form of the iconic Doctor Who TARDIS. 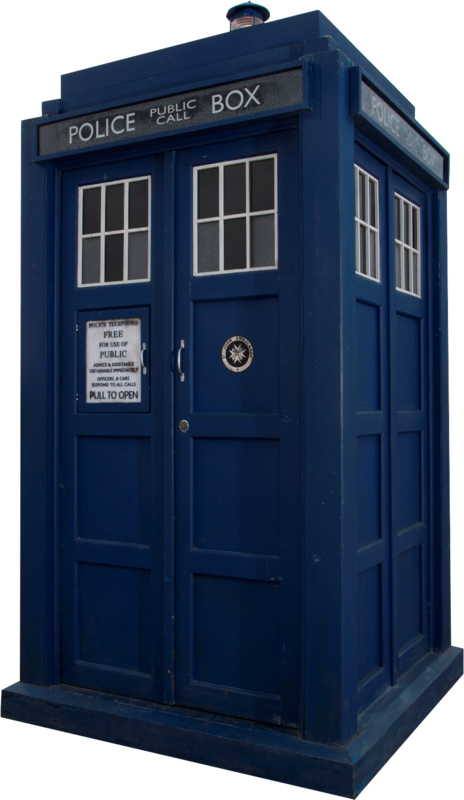 The custom build photo booth would have to be an exact external replica of the latest incarnation of the Doctor Who TARDIS. The photo booth would need to enable the occupant(s) to post their photo to their own Facebook timeline direct from the booth or Enable the occupant(s) to send the photo to their chosen email address direct from the booth These requirements differed from most custom build photo booth requests in that they wanted to provide a sharable social media based Doctor Who themed memento, as against the usual printed photo memento. And also that the photos should be posted as quickly and easily as possible, in real-time, to the occupants own Facebook timeline direct from within the booth. Again this differs from the majority of photo booths which are “Facebook enabled”, in that they tend to only be able to send to one pre-defined page album and in the majority of cases only from outside of the booth once the photo has been taken inside. Fortunately Photobooths.co.uk are in unique position compared to most other custom build photo booth manufacturers across the globe, in that we have both photo booth manufacturing and photo booth software development teams based at our head offices in the UK. This enabled us to not only manufacture and build the TARDIS photo booth to the exact size and specifications provided by BBC Worldwide. But also to programme a bespoke version of our in-house photo booth software, to meet their social media requirement and provide Doctor Who fans with a unique interactive experience as well as being able to share this experience via social media from within the TARDIS photo booth. Both the build and software development took approximately 8 weeks from agreement to of the final specifications to the delivery of 3 of the custom build photo booths and initial install of the first of them at Heathrow Airports’ Terminal 5. Unfortunately unlike the TARDIS, in which the Doctor and his companions travel, the inside space size of this custom build photo booth is the same as on the outside, save for the thickness of the walls. One of the biggest challenges was therefore to get the green screen digital backgrounds to work in a such a limited space. With less than 1.2m of depth between the subject (i.e person in the booth) and the digital camera this was not a lot to work with as ordinarily green screen technology requires more space and lighting to work effectively. Again our software developers rose to the challenge and developed some very sophisticated green screen image processing algorithms that enabled the green screen technology to work in such a confined space, without the need for over-powering lighting.